Against my better judgement and as hard as I tried to resist, I have to admit that I am a Twilight fan. What drew me in to the books was the first movie, and one of the reasons I liked it so much was the fantastic soundtrack. The Twilight series always manages to get some amazing bands on their soundtracks, many of whom write original songs, and they integrate them seamlessly into the films. And while I can’t speak for how well it will fit with the tone of the film (it isn’t released in America until 30th June and in England until 9th July), the soundtrack for ‘Eclipse’ is certainly as good as the last two. You can’t review a Twilight soundtrack without mentioning Muse. They have contributed a song to each of the three Twilight soundtracks, which is not surprising, as they’re author Stephenie Meyer’s favorite band, but of the three, this is probably my least favorite. In general, I agree with US Editor Mary’s review of it: that it’s good, but it’s a bit cheesy – it’s definitely a grower. One band set to gain a lot of popularity from their inclusion on the soundtrack is Fanfarlo, who TGTF interviewed back in December. They contributed the folksy ‘Atlas,’ which you can see a stripped-down acoustic version of below. The song has a much lighter, more carefree feel than the majority of the album and the vocals are flawless. Adding to the slew of great female vocalists is Bat for Lashes‘s Natasha Khan, who collaborated with Beck on the hypnotic and haunting ‘Let’s Get Lost,’ with Khan taking the lead vocals and Beck providing the backing vocals and synth. Not to be outdone, the male-led bands also contribute a dizzying array of fantastic music. While Muse held the rock mantle on the first soundtrack with ‘Supermassive Black Hole’ and shared it with Band of Horses on the ‘New Moon’ soundtrack, this time the honor goes to blues-rock duo The Black Keys with their song ‘Chop and Change.’ It’s raw and gritty with a great guitar riff, and everything you’d expect from the Akron, Ohio band. Indie darlings Vampire Weekend are perhaps the most appropriately named of all the bands on the soundtrack, and their song, ‘Jonathan Low,’ is unsurprisingly one of the most upbeat. Recorded towards the end of last year, it’s a bit different from what you might expect from Vampire Weekend’s recent material and is richly orchestrated, with a 12-string guitar part played by Rostam Batmanglij. 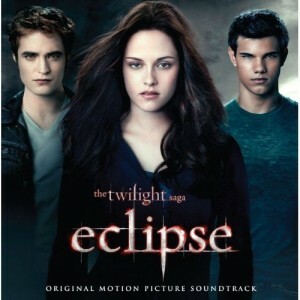 Even if you can’t stand the Twilight Saga, do me a favour and go buy this album. If you like the bands we cover on TGTF, chances are you’ll love it – hell, half of them are on the soundtrack!